Let’s face it, travelling is expensive. Even if you are frugal, it’s still going to cost you. I get asked on a regular basis how I can afford to travel so much. The answer is simple: determination. I am determined to see as much of the world as I can in my lifetime. Travelling is always on the top of my list, after taking care of my family. So here are 5 of the ways I save money to do one of the things I love the most. 1. Use a credit card with travel perks. There are so many credit cards out there with great travel perks. The most popular ones are Aeroplan and Air Miles cards. I personally use BMO Air Miles World Elite Mastercard. Each time you use them you are adding points that go towards your next trip. You can also get double and triple the points on certain affiliated stores, speeding up the wait time until that next adventure. In addition, some of these travel cards already include travel insurance and trip cancellation insurance, so you don’t have to fork over even more money every time you jump on a plane. Just be sure to check each bank and their individual cards, as they are all different. 2. You really don’t need those shoes. Learning how to curb impulse buying can save you a lot of money. Like they say, if you buy it just because it’s on sale or just because it’s cute, you don’t really need it. Practical and necessary purchases aside, if you can make do with the wardrobe you already have and that shade of lipstick that you just bought last month, then put that extra money away for that beach vacation you’ve been eyeing or that Bucket List trip somewhere in Europe. 3. Travel during off season. Let’s face it, some people don’t really get the option to pick and choose the time of year they would like to go on Holidays. But for those of you who do, go during the off season. Save that vacation down to the sunny south for April to June, or September to November. Going down south during the less busy time of the year has its advantages. It’s cheaper, not as crowded, and you will usually get better deals on excursions and day trips. Europe is often cheaper in the Spring and the Fall as well. 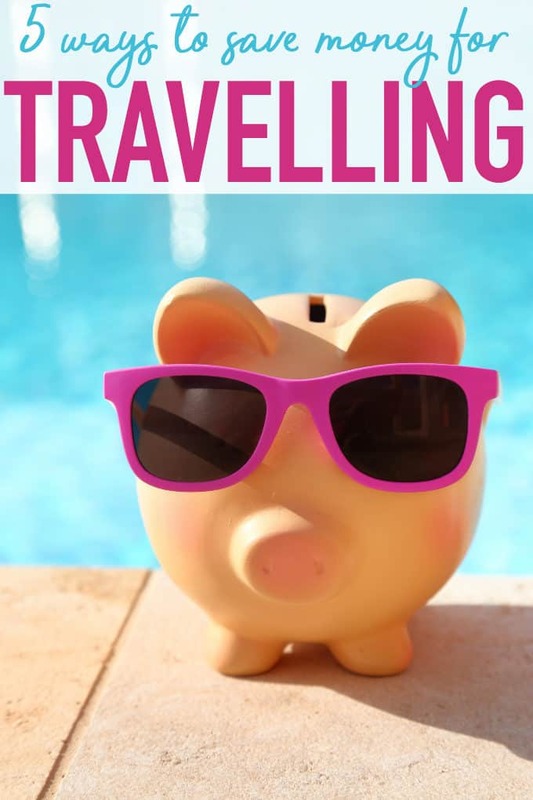 You can score an amazing deal during the off peak travel times, but you can still find some good deals if you are travelling in the summer months, or down south to get away from the snow, as long as you are keeping your eyes peeled for that deal. 4. Be willing to change your plans. There have been a few times when I have had my eye on one country or city, only to find an amazing package or flights somewhere else, that I just couldn’t pass up. So be willing to have some wiggle room with the next vacation you are looking to book. This may also give you ideas on places to visit that you’ve never thought to add to your travel list. 5. Keep a budget and stick to it. Unforeseen circumstances and emergencies aside, if you have a specific amount of money you want to put away every month to reach your savings goal, stick to it. Again, going out for supper every now and then won’t derail your plan that much, but if you start making overspending a habit, the money usually comes out of the travel part of most household budgets. If your goal is to travel to the white sand beaches to one of the islands in the Caribbean, stroll down the cobbled streets somewhere in Europe, or making your way across Asia, remember these tips that will get you to your dream destination that much quicker. You might also like this Summer Bucket List or travel gifts. I love your tips, Angel! Really practical and useful! How do you stop yourself from buying everything you like, such as clothes? We are about to travel and these tips were helpful. We have a credit card that earns hotel points so sometimes we are able to stay free, saving about $100 to $150 a night is huge! Also look in the hotel lobby for local brochures and booklets, they often have savings inside! We have always travelled during school time – to save money and avoid crowds… my daughter is now in highschool and we can no longer do that. OUCH! It costs SO MUCH MORE to travel during the school breaks!